The last thing eastern Congo needs is more armed groups, so the arrival of hundreds of South Sudanese rebels in the violence-prone region is cause for concern. The UN peacekeeping mission in the Democratic Republic of Congo, known by the acronym MONUSCO, says it registered 755 SPLA-IO fighters who crossed into the Democratic Republic of the Congo in July, following clashes in the South Sudanese capital, Juba. The men, loyal to former vice president Riek Machar, were on the losing side of fighting with the soldiers of President Salva Kiir. They escaped with Machar into Garamba, a national park that stretches across a huge swathe of northeastern Congo, where they were rescued by MONUSCO. The violence in Juba effectively killed a painfully negotiated peace agreement between Kiir and Machar. The South Sudanese fighters have now joined a list of foreign rebel groups that eastern Congo is unwilling to host but struggling to remove. They include the Rwandan FDLR, the Burundian FNL, and two Ugandan exports, the ADF and the LRA. These groups, along with equally violent homegrown militia, have terrorised the local population for decades. MONUSCO has responded to the growing public concern by pointing out their SPLA-IO rescue mission was on humanitarian grounds, and at the request of the Congolese government. The peacekeeping mission said it handed over 117 South Sudanese to the Congolese authorities, and cantoned the rest at three of its bases in eastern DRC, where they were given food and medical assistance. Security is tight at the bases, and MONUSCO is doing its best to downplay any security threat. Just how destabalising the rebel presence has become was underlined by a call by an SPLA-IO spokesman for the return of the men to areas across the border he says are controlled by the rebel group. Although MONUSCO says every SPLA-IO fighter was disarmed before leaving Garamba, that assurance has done little to ease public anxiety in eastern Congo, a region where weapons are easily obtainable. There is a growing clamour from civil society groups for the resettlement of Machar’s men outside of the DRC – especially following the former vice president’s announcement from exile in Khartoum last month that he would continue his armed struggle. “Like the South Sudanese fighters, the FDLR… also entered Congo with their weapons, under the cover of humanitarian operations,” said Jean-Paul Lumbu Lumbu, a leading North-Kivu lawyer. Professor Nissé Mughendi, a lecturer in international relations at the Catholic University of Graben, in Butembo, told IRIN the cantonment of SPLA-IO combatants represents a threat to the entire Great Lakes region. “Remember that Congo’s neighbours have always used the presence of their rebels in Congo as the pretext for military intervention,” he said. In a memorandum to the government, a group of roughly 30 leading local politicians, lawyers, doctors, business people, and religious leaders called for their resettlement in any other African country. “The coalition fears that the excuse of the right of pursuit presented by Rwanda against the FDLR rebels to justify repeated incursions into the DRC, and eventually of Uganda against the ADF rebels, could one day be used by the South Sudanese government against the rebels [now cantoned in Congo],” the memorandum said. 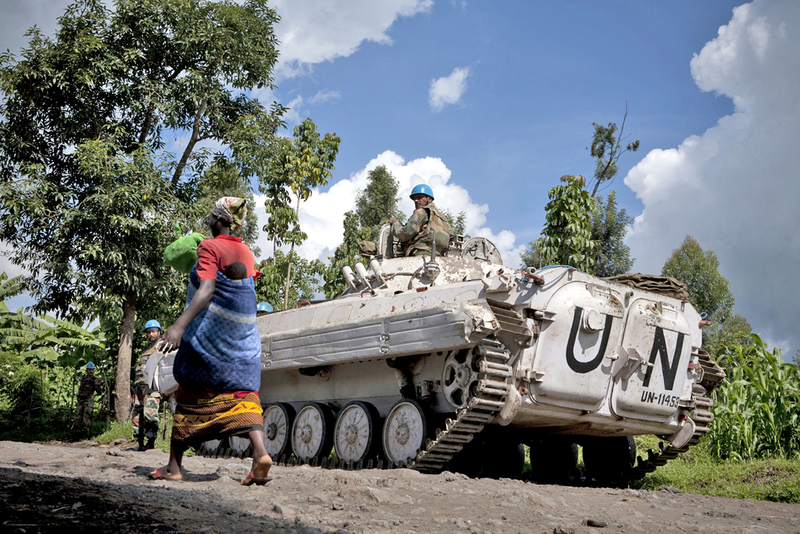 Can MONUSCO keep people safe? Mughendi believes the Congolese authorities blundered in accepting a new group of foreign rebels on its soil. “You need to first resolve the problems of other foreign armed groups before creating more,” he said. Under public pressure, the government has given a frustrated MONUSCO an ultimatum to resettle the South Sudanese, but hasn’t named a firm deadline. It’s unclear if any of the rebels have sought asylum, which would complicate the government’s room for manoeuvre. The threat of their “expulsion” has nevertheless been welcomed by Juba. 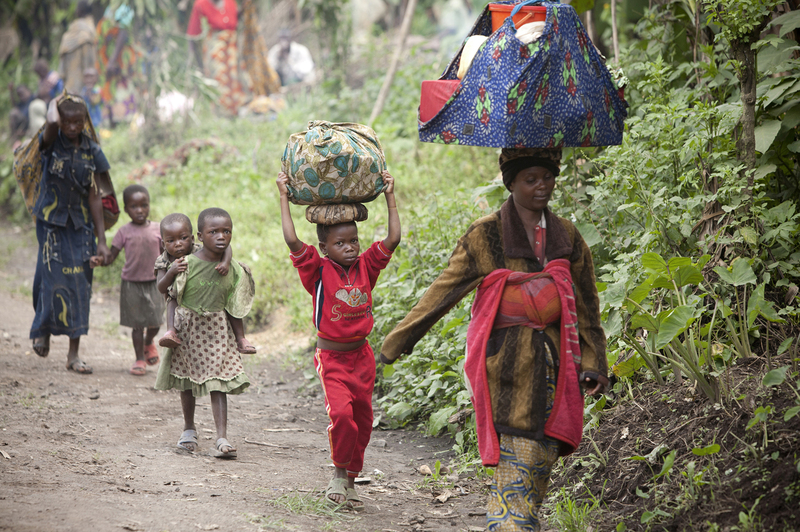 “It’s self-evident that they ought to leave DRC. But the solution ought not to come exclusively from MONUSCO,” said UN peacekeepers’ spokesman Félix Bass. “It most also involve the DRC, South Sudan, the countries of the wider region, and international organisations like the African Union and the United Nations,” he noted. Mughendi is glad the government is responding “to the pressure from the people of North-Kivu” and setting demands. But, he added, it may be too late for any effective action to be taken in the short term. If the men have not yet renounced their loyalty to Machar, that could well take some searching.